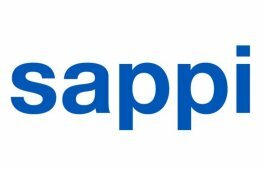 Sappi Limited is pleased to announce that it has joined the Sustainable Apparel Coalition (SAC) and will use the group's sustainability measurement suite of tools, the Higg Index, to drive environmental and social responsibility throughout its supply chain. Sappi's vision is of a thriving world-a better tomorrow than today. Sappi applies its expertise and collective imagination to equipping its people to prosper in the world of tomorrow; establishing shared value initiatives to uplift communities; using natural resources in a responsible manner, valorising waste streams and promoting transparent supply chains. Sappi's overall objective is to expand and enhance value streams to create sustainable products based on a renewable natural resource-woodfibre. Sappi Limited CEO Steve Binnie commented: "Sappi's sustainability strategy builds on our 2020Vision, people and core assets and aims to create real value by evolving our business as we expand our range of products derived from woodfibre, including packaging and speciality papers, woodfibre based bioproducts and importantly dissolving wood pulp (DWP) for the textiles industry. We are pleased to be joining the SAC, confident it will have a positive impact on product sustainability over time." Sappi Dissolving Wood Pulp (DWP) Executive Vice President Mohamed Mansoor added:" We believe the SAC can become a model for how industries can collaborate in making a positive impact on value chain performance. Our confidence in the DWP market was confirmed when we launched Verve, our first brand range bolstering our leadership in this market. Sappi Verve represents our commitment to the entire value chain from brand owners through to the cellulosic fibre producers; our commitment to providing a natural fibre responsibly produced, sourced from sustainably managed forests." "We welcome the addition of Sappi to the Sustainable Apparel Coalition and look forward to their participation in this industry-wide effort in sustainability," SAC Interim Executive Director Amina Razvi said. "Having Sappi as part of the Coalition widens the scope of our impact within the industry and accelerates the change we're making towards responsible industry actions."